FBJ-A:speed, energy saving, stable, simple operation, microcomputer detection and domestic advanced technology products. FBJ-A full automatic intelligent medium speed cake cup machine is automatic paper molding equipment, has the advantages of high speed, convenient operation etc.. 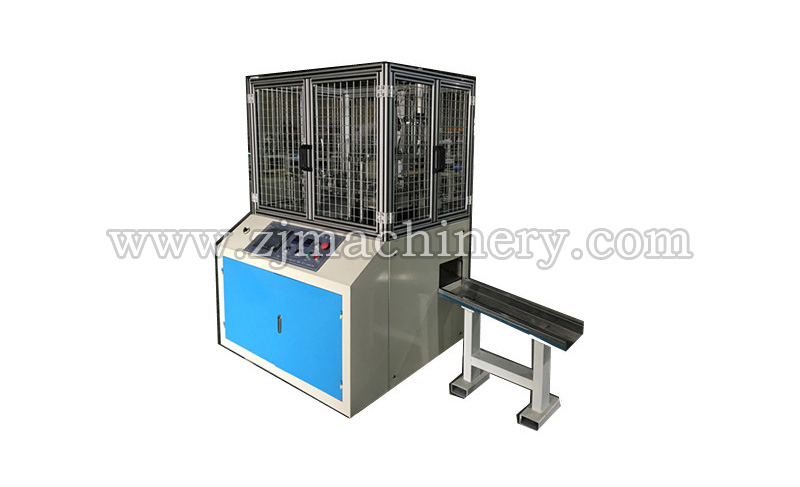 This machine adopts built-in hot air generator, suitable for single PE coated paper. For the production of single-cell disposable paper boxes, paper boxes, cupcakes, food packaging boxes and FBJ-A automatic intelligent medium speed cake cup machine through the automatic feed paper, heating (comes with hot air generating device), hot press molding (adhesive box four corners), automatic points collected, microcomputer control of continuous processes. The working speed is 50 times per minute，the level of the capacity in China is 60times per minute. It has the monitor computer system .If the fault the machine will stop and alarming . P.S. If different width, we can do it according to your requirement.